As I always do, I will begin by pointing you in the direction of my first sixteen articles published by Wellx here. I'm a little late in telling you about this...but on May 10, my seventeenth article was published. 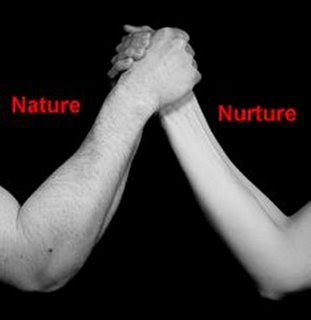 In this piece...which is a re-publication, I discuss the nature vs. nurture debate. Thanks as always to Mel and everyone at WellnessX for continuing to share my work and for their on-going support and great work with the wellness community!